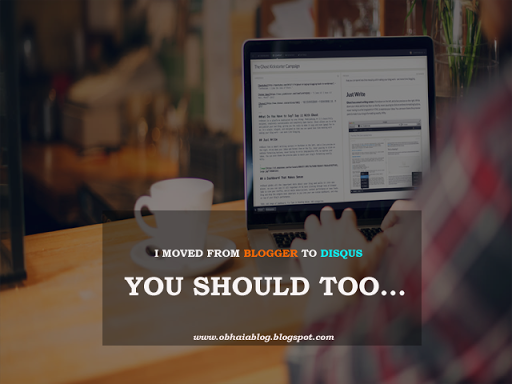 So finally yesterday I moved from blogger native commenting system to Disqus and you might be wondering why? and how? If there is anything worth doing then it should be done well. I started blogging in 2014 and ever since then I have always wanted to engage visitors more but I never really knew how to but along the line, I came across some posts which recommended easy and flexible commenting as one of the numerous ways. Did blogger really work for me? Yes, it did work awesomely well for me but it had a lot of limitations which only Disqus could provide for me. After integrating Disqus on my blog, I started having access to cool features. One of the main reasons, while I switched from blogger native comment to Disqus, is because of the threaded comments engagement. A few months ago I commented on a post in ICanBuildABlog and that was all but a few weeks later Disqus started notifying me on replies not only to my comment but also to other comments. This subscribes tool is an awesome feature of Disqus. Ever since that day I just fell in love with Disqus. Blogger on the other side provides you with an option to subscribe to comments but it is not as engaging as Disqus because Disqus does it automatically without commenters even noticing. It’s a great way to call back commenters to your blog post. Media Attachment – Can I Add Images To Disqus and Blogger? 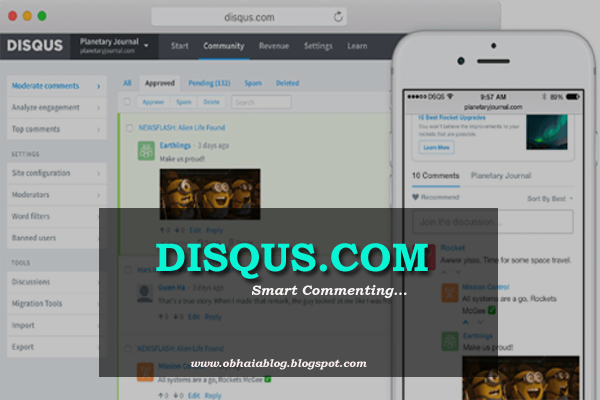 I Choose Disqus… Do You Still Prefer Blogger? Well, I will be underrating blogger native comments if I say it is not cool when it comes to design because though Blogspot offers a simple look and feel in terms of layout and look but apart from that, you can also make your blog comments look really great. There are a lot of websites that have customized the look of their default comments. MyBloggerTricks uses blogger native comments and still, the look is really awesome and responsive. Other great bloggers use Blogger and have customized the look and feel of the comment section. Aside from using just blogger comments, your can also use blogger comment alongside Google Plus comment by just adding a few codes to your HTML. Disqus, unlike Blogspot native, has that beautiful look and design. It attracts but the users and the blog owners. I am mostly attracted to smooth things and ever since I started commenting on other blogs, I have found Disqus to be the best looking of them all. The layout is responsive, smooth and awesome. Despite the numerous options provided on the comment area, they have still tried their best to optimize the look and add a lot of juice to it. Well, you might not agree with me on this and I guess that is why beauty is in the eyes of the beholder. Feel free to sign up with various options from OpenID, Google, Anonymous and many other options but it seems Blogspot is forgetting something. Major trends of the day include Facebook and Twitter and users would love to comment on a post using either their website, facebook, twitter and also as a guest but does blogger provide this? NO. Here Disqus leads according to how I see my users. I installed the commenting system just a few hours past and guess what? I have over 10 comments already. It took me 2 years to get 152 comments while using blogger native but in just a few hours of installing Disqus, I am already getting a lot of comments. – I love comments. Today I ran into some channels on the Disqus platform and I already saw a lot of persons as members though I have not written and published my first post on any of the channels still I believe is one the numerous ways to drive traffic and comments to your blog. Let’s see this simple text. So assuming you submit a post to 15 channels and communities with a minimum of 1k members then if your content if good, you should get at least 20 members from each channel to visit your site. So you get 600 views a day per article and you publish 2 articles a day. Making a total of 14 posts a week. Following that analytic, you get at least 16800 views from just Disqus channels and communities. Every blogger needs extra income from his/her blog and making such income from your comments is not such a bad idea. Though I think this feature might be hard to get approval on, I still think it’s quite a way to make huge income from a blog. Many bloggers use Adsense, Media.net, AlternativeAds, Ads Optimal and many other affiliate programs offering your ways to make income. For African bloggers, I will recommend you sign up for Jumia Affiliates. Nothing is too small. Any little amount made from the Reveal on your comments can make up a huge amount when estimated. For me, I am still waiting to get approved for the service. Have any ideas on how to get approved? let me know!. Today’s technology device usage shows a huge amount of individuals purchasing mobile phones and tablets. That sings songs of mobile friendly widgets to us. Both commenting platforms are mobile friendly but just as it would be said. All fingers are not equal. Disqus it’s my favorite when it comes to commenting via mobile devices. I use a BlackBerry Z3 devices and most times when I am not home I just prefer to moderate and post comments using my mobile and both commenting system lets me do this really well with options to delete, publish in the email notification. But when it comes to Disqus, you need to only tick an option in your moderation section and both yourself and your commenters can add images to comments. Finally, i choose Disqus as my default comment system after the above discoveries and do share your thoughts with me. Let’s know what commenting system you are using and why you are using it. Do add a comment linking to your blog so we can check it out. 1. Which is better in SEO – Disqus or Blogger? 2. Common problems with Disqus? 3. Is Disqus Faster than Blogger? 4. Which Do you recommend? Maybe it has cross browser compatibility problems with UC but I try viewing it on UC to see for my self. The Disqus comments form isn't showing on UC Mini.